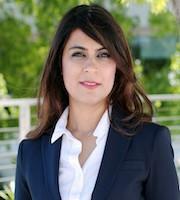 Sabina Zafar is a Software Architect at GE Digital as part of the GE Experienced Architect Leadership Program. Currently, working with GE's Asset Performance Management Platform to drive GE's digital strategy for the Industrial Internet of Things. Sabina has a BSc in Computer & Information Sciences and has rich experience across the digital spectrum. Before joining GE, Sabina was a Director in the CDN & Cloud Storage space, architecting solutions for start-ups and fortune 100 gaming and media companies on their performance improvement strategy. She has also co-founded start-ups in online recruitment, education & music. Sabina is a member of GE's women network, a member of Women Who Code. Sabina lives in San Ramon and serves her community volunteering for several organizations. She serves on the board of Dougherty Valley San Ramon Rotary, and the board of American Association of University Women (AAUW), San Ramon. Sabina practices mindfulness by going on hikes and practicing yoga.